Inadequate information on the status of reuse and disposal of different forms of wastewater and associated environmental and health impacts: Even when information is available, there are large variances in the assessment of wastewater because of the different criteria used. Incomplete economic analysis of the wastewater treatment and reuse options: There are costs and benefits associated with specific wastewater treatment and reuse systems. However, the analyses are usually restricted to financial feasibility. Other factors should also be considered, such as centralized and decentralized treatment options, degree of treatment, intended final reuse and transportation options for treated effluent. Perceived high cost of developing wastewater collection networks and wastewater treatment plants: Wastewater treatment facilities and costs vary from one location to another and are based on the infrastructure needed, the quality of the wastewater collected and the anticipated quality of the treated wastewater. Preference for freshwater over wastewater: Lack of commitment on the part of governments to advocate and support comprehensive wastewater treatment programmes has led to a lack of understanding among the public about the perceived environmental benefits of wastewater treatment and reuse of reclaimed water. Moreover, final users are sceptical about the quality of the reclaimed water. The mismatch between water pricing and water scarcity: Water pricing should consider its scarcity value. This aspect has particular importance in the agricultural sector. The price of fresh water delivered to farmers does not reflect even the cost of water supply. Because wastewater is collected away from urban areas, households do not recognize the benefits of wastewater treatment and reuse amid extreme water scarcity. Governments therefore find it easier to collect fees for connection and wastewater service than for eventual treatment of wastewater. Overall inefficient irrigation and water management schemes, which undermine the potential of water reuse: Management schemes often do not pay attention to the potential of reclaimed water as a resource that can be used for irrigation, environmental conservation and other purposes, such as groundwater recharge and municipal, recreational or industrial uses. Qadir, M., Bahri, A., Sato, T., al-Karadsheh, E., (2009). ‘Wastewater production, treatment and irrigation in Middle East and North Africa’. Irrigation Drainage Systems, 24(37), combined 1-2. Qadir, M., Sharma, B.R., Bruggeman, A., Choukr-Allah, R., Karajeh, F. (2007). ‘Non-conventional water resources and opportunities for water augmentation to achieve food security in water scarce countries’. Agricultural Water Management, 87: 2-22. Qadir, M., Bahri, A., Sato, T., al-Karadsheh, E., (2009). ‘Wastewater production, treatment, and irrigation in Middle East and North Africa’. Irrigation Drainage Systems, 24(37), combined 1-2. Bahri, A. (2000). 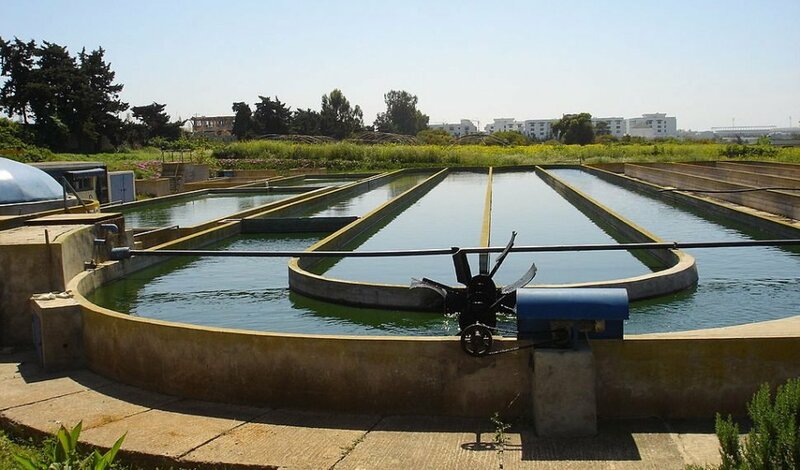 ‘The experience and challenges of reuse of wastewater and sludge in Tunisia’. Water Week 2000, 3-4 April 2000. World Bank, Washington, p. 15.
policies, practices and lessons from the Middle East and North Africa forums. IWA, London, pp. 11-24.
innovations. The World Bank, Middle East and North Africa (MENA) Region, Washington, pp. 447-477.